This post is part of two linkups happening today! 1. The #raralinkup party is happening on Twitter. 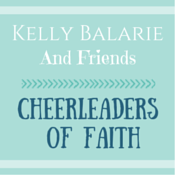 You can read about it and join in the fun at Kelly Balarie’s place, Purposeful Faith. She’s one of God’s cheerleaders pointing others to Him. Join us! 2. Also, thanks to my fabulous friend, Michelle, I am linking up to Jennifer Dukes Lee‘s #tellhisstory linkup, too. The new year looms over me like a hot air balloon, ripe with buoyant possibility and grandiose perspective. Planning for a new year is such fun to me. I enjoy goal setting and dream chasing. My new year plans changed in my late twenties. I used to fall prey to the list making of all the new habits I planned to acquire and old habits I determined to kick. For a driven, recovering overachiever, this list was a recipe for disaster. When I dream, I don’t see limits, and yet this dreamer is full of limitations. Instead of coming to God with empty, open hands asking what He wanted, I brought Him my list of plans. Today, I face the journey into a new year with one word and extra room in my suitcase for the unknown destinations ahead. A few years ago, the radio announcer on K-Love challenged me to choose #oneword for the new year. This word would be a focus of prayer and meditation unto the Lord over the coming 12 months. It’s a great idea. My word for 2014 was TIME. Boy, oh boy was that a powerful word. The Lord taught me a ton, and I filled my journal with scriptures using the word TIME. As I held this word in my heart & made room for Him, He showed me deep, revelational things through the pages of His Word. One thing the Holy Spirit whispered to my soul loud & clear was this phrase. “I don’t have time to ______.” Ugh…I used to say that a LOT. Easy to fill in that blank, huh? I thank Him and praise Him for each and every lesson He taught me through the word TIME in 2014. I know He has a good word for 2015. I am leaving room for the next word He has for me. We are natural planners and creators. From silly plans for the perfect outfit or dinner plans inspired by Pioneer Woman to dream vacations or healthy eating (I will miss you, pasta), we like to plan. I think it makes us feel more comfortable and maybe even more in control of our lives when we have a good plan in place. We know that God, the Perfect Planner, Who created the universe and us, has the best plans of all, but many times we start with our plan and not His. This year, I am starting with His plan. My challenge to myself and to you, dear friend, is to leave room for God in 2015. You have no idea what He will do if you give Him space to work. Like many of my friends, I am cleaning out and cleaning up as the holidays wind down. Pinterest is full of cleaning routines, organizing challenges, and great plans to declutter so we can face the new year with neatly designed cabinets where all the plastic bowls have a matching lids. Over Thanksgiving, I faced a gigantic cleaning task. I cleaned out the attic. The attic is known as the black hole of spaces in our home. It was the place I got depressed the moment those squeaking metal springs stretched out an eerie cry as its wooden rungs unfolded from above. Full of plastic tubs and old suitcases, I have avoided facing this pit of despair & disorder. Inspired by many of you who are taking on those Pinterest projects, I can proudly say all the tubs have been cleaned out, donations made, and trash disposed. Yay for me! There’s one suitcase left to sort. This suitcase came from my birth father’s house. It is the final sorting that I have ignored for over ten years now. I filled this old suitcase with belongings that appeared to have special meaning to my birth father and his family. The flag that was given to my grandmother when her husband passed sits on top of a tiny brass chest protecting driver’s licenses and social security cards. The box of costume jewelry my grandmother wore nestles closely to an old camera keeping watch over ornately carved wooden pipes still smelling of my grandfather’s tobacco. It’s a lifetime in a suitcase. On the bottom, there is a photo album without pictures. Instead of photographs, the book was used by my grandmother to record the instructions my birth father would need when she died. She meticulously listed names and numbers of attorneys and insurance agents he’d need to contact upon her death. Her few valuables, including approximate monetary value, were itemized on the faded notebook paper lines with great detail. She’d made this plan before she entered the nursing home pretty much counting on the fact her illnesses would send her to Jesus long before her son. She even included her funeral plans. The obituary she wanted published was written out on a single sheet center spaced as it would be in print. I marveled over the care she took to make plans for her son after she was gone. She had no idea how it would all end. Her obituary, when she passed, read differently. Her son went home to be with Jesus years before she joined him there. Her body should have quit working ten years before it did, and her mind and spirit remained strong until the very end which didn’t occur for several more years. Instead of an obituary stating she was only the mother of one son followed by a period, it read she was a grandmother of one and the great-grandmother of three. God had other plans for her. As I faced the suitcase stuffed full, I was struck by this truth. The new year ahead is wide open to things God wants to do in my life. It’s wide open for you, too. Maybe we should just dump out everything we packed and let Him have all the room. That’s daring and amazing and scary, yet far better that any list of plans I have for my future. I don’t want to fill up my suitcase with only the stuff I plan and leave no room for Him. 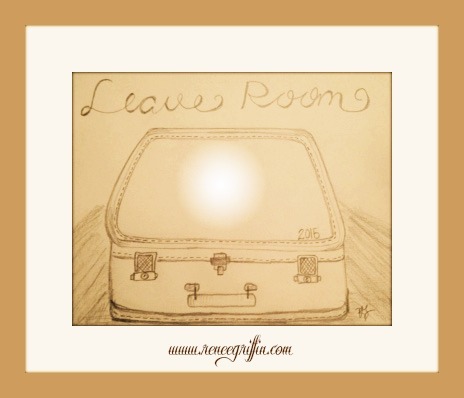 As we travel ahead into a new year, instead of packing a full suitcase, let’s leave room. Thanks for your kind words, Ashley. God provided a word just this morning! It’s FREE. Do you choose #oneword? I do! I juat haven’t settled on one yet. Free is great! Love it. I like your phrase for the year, Renee. “leave room.” Such a challenge to leave room for God when we’d rather plan and fill our lives with stuff and busy activities. So important though. Betsy, it seems that most important stuff is a challenge, huh? Thanks for stopping by. I really appreciate you. Me, too! And, I do LOVE a calendar & planner. All those blank spaces waiting to be filled. Thanks for stopping over & I pray God fills your calendar with amazing, unplanned moments in 2015. Such. Valuable. Wisdom. ❤️ You to pieces! You mean so much to me. Look forward to meeting you in person one day. I love #oneword! Do you have yours yet for 2015? Oh yeah! New year, new word, & lots of new cups of coffee. It’s #darulz. Love you! Looking forward to seeing God work in your life in 2015. Thank you for this lovely post – it is amazing to see how you have grown so much by focusing on the word TIME this year. I will have to do this #oneword idea! Thank you for linking up today 🙂 God bless!! The #oneword challenge is a a real game-changer. God opens my eyes to see things in new ways all year long from one single word. Thanks for stopping by, Tai. I know God has big plans for you. Your words shed a brilliant light of hope everywhere they go. Happy New Year! Renee, this post made me tear up. I want to read more of your story. This year, write it. It will mean so mach to so many. Renee, you need to write that book. I want to read more…. so good! Thank you, pretty lady! I plan to do just that in 2015, the Lord willing. Looking forward to seeing you again soon. LOL! Yeah…stick with “storage.” It’s a good word. Thank you for always being so positive and encouraging Abby. Praying God fills your plans with amazing things in 2015. Renee, yes! Let’s just dump out our suitcases and leave room. Let’s just let it be all about the space that Christ wants to take in our lives. Let it be his will and not ours. Lord, let us let you take those suitcases where you want them to go. Way to go, Renee! Fabulous post. Amen & amen! I agree in Jesus’ Name. He has big plans, Kelly, big. Love you. Oh yes! I definitely want to leave A LOT of room for Jesus in 2015. I’m sure there is plenty that the Holy Spirit and I need to clean out, and I’m so thankful that He is faithful to point out those things to me. 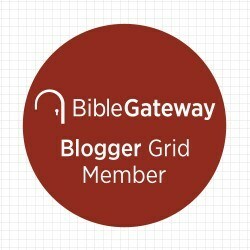 I want to invite you to participate in our Tuesday link up at The Loft. Our January 6th linkup will be all about our ‘one word’ for 2015. The linky will be available on my blog on Tuesday. Grace and peace. I would love to link up with you, Leah! The Lord just gave me my word & verse yesterday as I began to journal about my 2014 word. He is so faithful. Thanks for stopping by and the gracious invitation. Happy New Year, new friend.